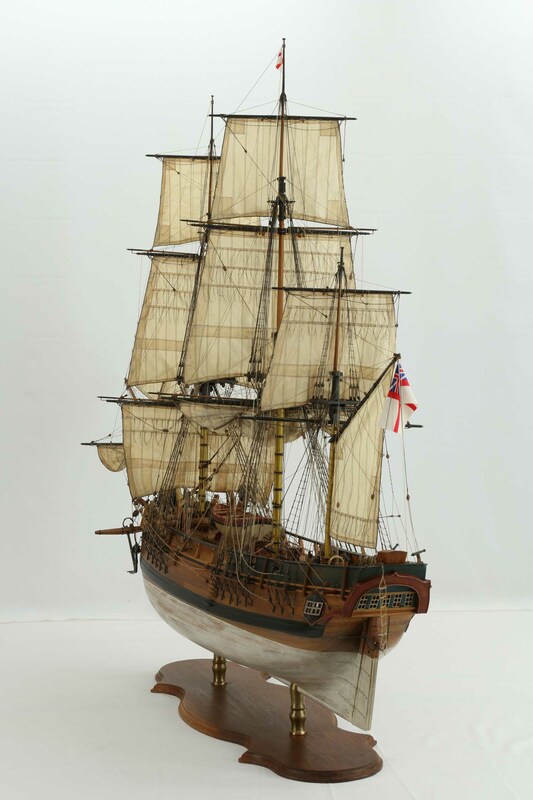 A lot of literature exist about this famous ship. 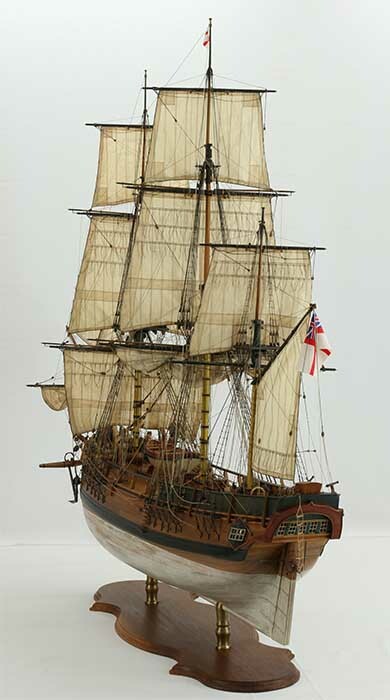 This model was built to plans of the book by John McKay "The Armed Transport Bounty, Anatomy of the ship". 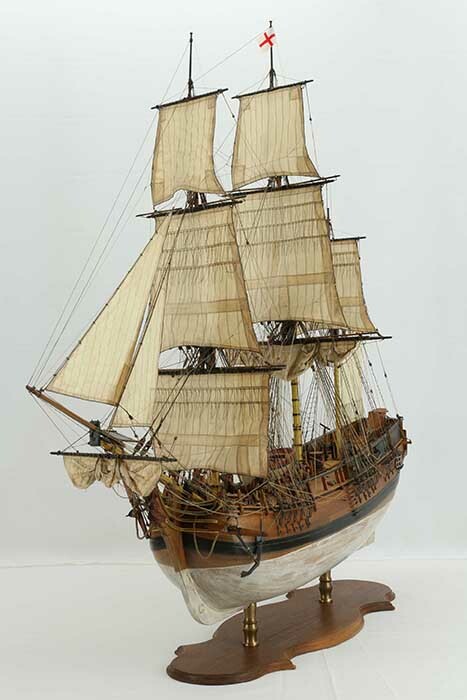 The finely worked, detailed ship model is an excellent piece of work. It is 1 : 32 scale. Length is 123 cm, width 40 cm, height 108 cm.